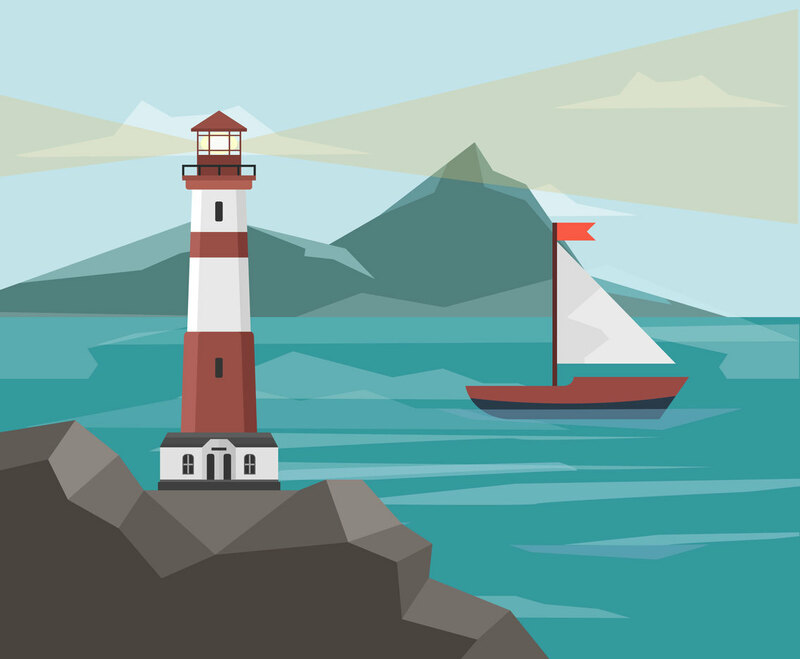 Vector illustration of a lighthouse by the sea. The seascape include illustration of mountains, and a sailboat. This vector set can be perfect for postcard or greeting card template or print artwork.